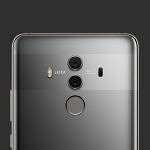 Owners of the Huawei Mate 10, Huawei Mate 10 Pro, and Huawei Mate 10 Porsche Design who are based in China and are itching to get their hands on the latest public version of Android will certainly enjoy this piece of news. Huawei has now released an Open Beta of EMUI 8.1 for the Mate 10, Mate 10 Pro and Mate 10 Porsche Design. This Open Beta release of EMUI 8.1 is based on Android 8.1 Oreo and comes with the GPU Turbo feature that made its debut with the Honor Play. GPU Turbo aims to improve the gaming experience on mobile devices by relying on hardware/software integrated GPU acceleration to change how the GPU handles graphics processing. The feature was to be extended onto other Honor devices, and since Honor uses the same Kirin chipsets as Huawei devices, the feature is now finding its way over to Huawei devices as well. Under certain circumstances, GPU Turbo was able to increase the overall GPU performance by 60% while also reducing SoC power consumption by 30%, so mobile gamers would certainly appreciate the rollout of this feature. However, do keep in mind that this EMUI 8.1 Open Beta is currently available only in China (with an additional requirement of being unrooted). While it’s not as exciting as Android P running on the Mate 10 Pro, this is still a big update. There is no word on whether an open beta build will arrive internationally. What international users of the Mate 10 lineup can expect is an eventual rollout of the finalized build of EMUI 8.1 based on Android Oreo 8.1. So, stay tuned for more information!